Today we’d like to introduce you to Aeshia DeVore Branch. Aeshia, can you briefly walk us through your story – how you started and how you got to where you are today. I am truly living my dream as a social entrepreneur who empowers girls to be health leaders in their communities and erase the negative stigma that sweat holds. The alarming childhood obesity epidemic along with the void of entertaining yet positive fitness content and fitness events for female students (13-22) and young professionals (22 and up) led to the conception and rapid growth of my passionate venture. I was born in Queens, NY (the Big Apple) and raised in Antioch, TN (the Volunteer State) so I feel like I was destined for the career that I have today. At the age of 10, my dad, who had been raising me since the age of five, was relocated from NYC to the Nashville area for his job as a computer programmer and since he was my legal guardian, I had to make the transition with him. Although moving was the best decision he ever made, the change was rough as I left all of my family (including my mother and half-siblings) behind. Also, my new environment introduced me to bullying, which I had never experienced before. I went from being an outgoing and popular kid to falling into a state of depression and shame when my peers of the same race regularly made fun of me for my dark complexion. Sports (track, volleyball, and basketball) and the lessons I learned as an athlete helped me boost my confidence, become student council Vice President, editor of the yearbook, graduate 11th in my senior class and prepare me for the woman that I am today. After graduating from Middle Tennessee State University (Bachelor of Science degree in Mass Communications), I thrived in the TV industry for over nine years – working my way up from an intern at ABC to a producer on Sundance Channel’s celebrated, primetime series ICONOCLASTS (via @radical.media), which enabled me to work with my idol, Dr. Maya Angelou. Her celebrated work makes a timeless impact on the world, and I wanted to leave a legacy that I could be proud of as well. So I co-founded the Teen Diaries Foundation in 2007 to provide virtual mentorship, and journalism and fitness programs for female students in cities all over the nation. The organization has served over 20,000 multi-cultural women and raised over $100k since becoming a 501c3 nonprofit in 2013. When I caught wind of former First Lady Michelle Obama’s Let’s Move campaign in 2011 and learned about the alarming statistics associated with childhood obesity, I was inspired to help raise awareness. 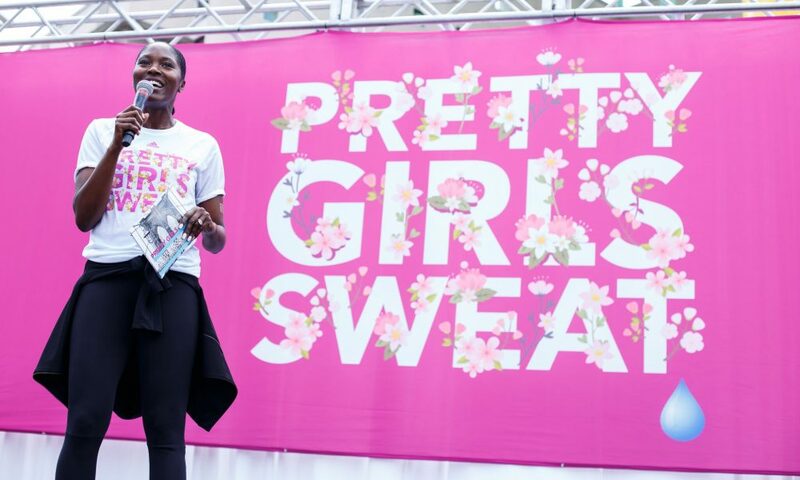 After a chance meeting with singer Keri Hilson backstage at a concert and us reflecting on how staying active as teens changed our lives, I was inspired to launch PRETTY GIRLS SWEAT, a brand that makes fitness fun, accessible and affordable for the predominant health leaders of the world – women. As a wife, mother of three girls, mentor to hundreds of young health leaders, and a business owner, I lead business development, marketing, sales, and event execution and have been responsible for bringing on clients and partners including Adidas women, Aquafina, Nike, Banana Republic, YMCA, Essence, Samsung and Girl Scouts of the USA. But more importantly, my proudest achievement has been helping to change the face of fitness. Launching a business solo has been far from smooth. I learn from every failure and success day by day. My biggest struggle as a social entrepreneur has been being so passionate about my mission to fight childhood obesity and mentor future health leaders that I would lose sight of treating the brand as a real business. As we continue to grow, I have learned so much along the way and as a result, became better prepared to take the brand, movement, and mission to the next level so its legacy can live on beyond me. Also, before I started this company, I wish I would not have been afraid to ask for help and advice. As a bootstrapped business, I spent a ton of money paying web developers when I should have partnered with a programmer who specializes in creating digital platforms and apps. So let’s switch gears a bit and go into the Pretty Girls Sweat story. Tell us more about the business. PRETTY GIRLS SWEAT makes fitness fun, affordable, and accessible to help women look and feel their best and end childhood obesity. Our fitness festivals, digital content and conversation starting apparel form a “Sweat Sisterhood” uniting women to have fun, encourage one another, flip the ingrained negative stereotypes that sweat holds, become positive role models in their homes and invest in training young, health leaders nationwide to solve the problem of the obesity epidemic in the US. We’ve been featured on ABC, BET and Essence as the “fitness destination for girls”, which we think sums us up! 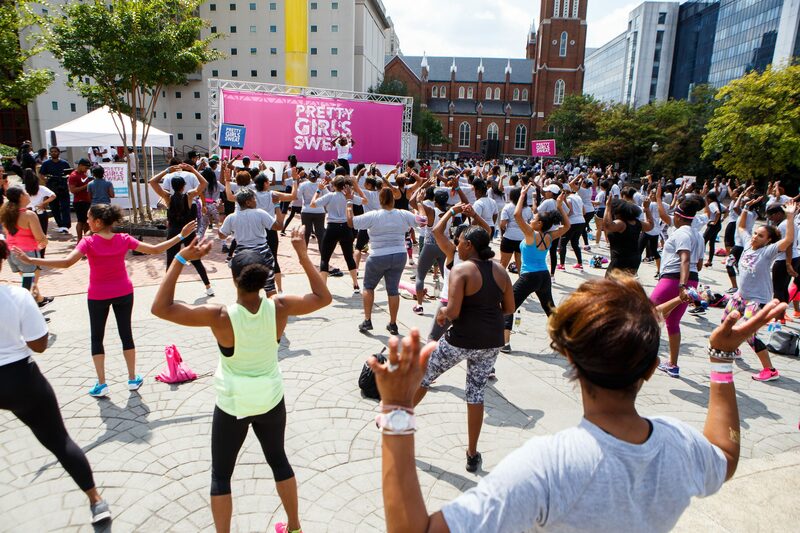 PRETTY GIRLS SWEAT fest ATLANTA is our annual fitness festival, SWEATlebrity Awards Show, and fundraising effort. The one-day event is filled with music, self-care, sisterhood, style, fitness, food and fun benefiting select non-profit organizations. 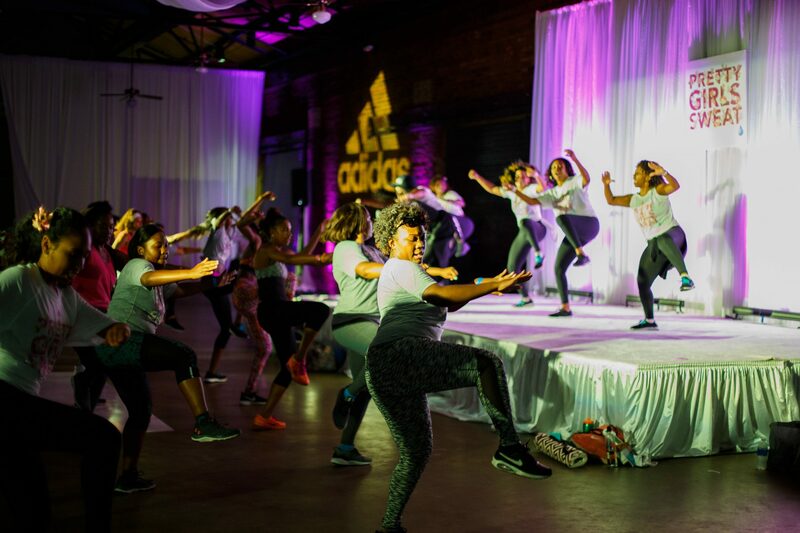 Last year, 500+ women gathered to “make fitness fun” and “sweat with a purpose;” this year’s gathering on September 15 in Atlanta, GA is expected to draw 700+ women. 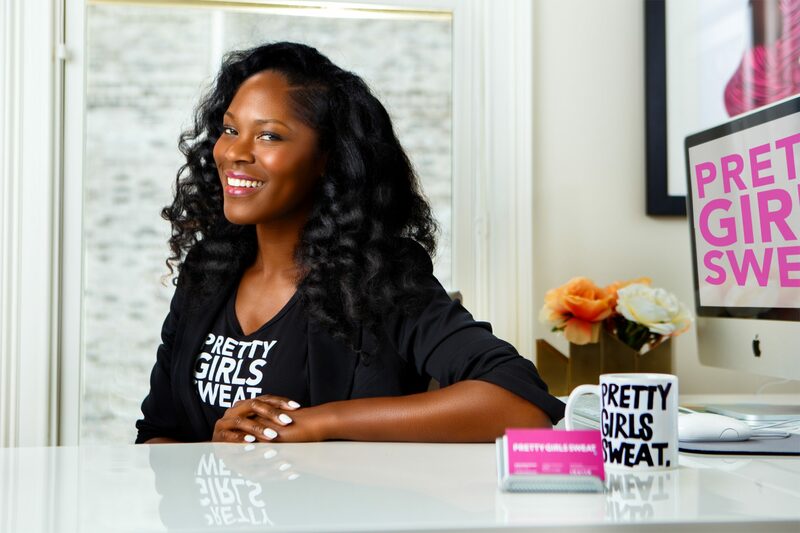 PRETTY GIRLS SWEAT’s descriptive and provocative brand name is so special. It stands for a big idea and it has emotional appeal. Brand authenticity and trust also set us apart in the marketplace. Our unfair advantage is that we’ve spent nearly 7 years building a brand and creating new conversations with students, young adults and athletes over and over and over again. That relationship, partnership and marriage with our Sweat Sisterhood allowed for open communication, debate, respect and the generation of new ideas. And when people were focused with eyes on the prize of what we could achieve together – a movement was born. At a time when the fitness world began exploding online, the mission-based brand’s focus to combat childhood obesity attracted free celebrity and influencer endorsements, corporate partners and support from high-level female executives at some of the top companies nationwide. 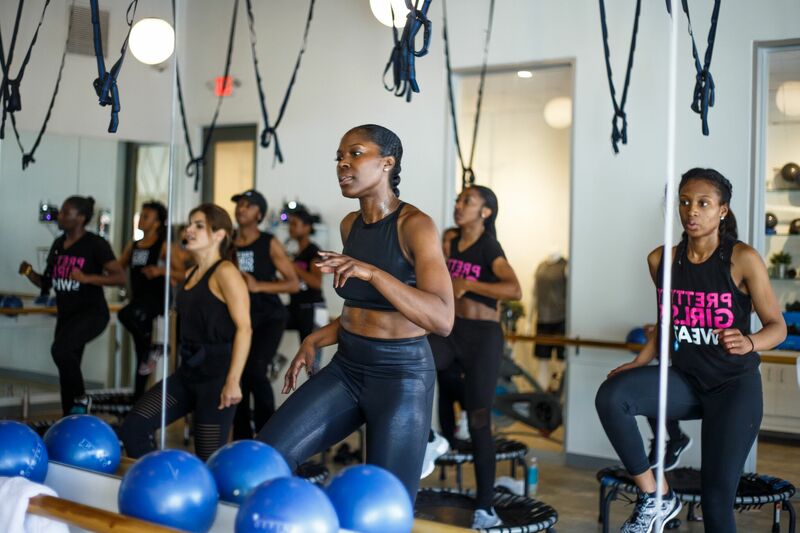 What we do better than anybody else is making fitness fun by helping women meet new friends while incorporating philanthropy with Hip-Hop culture. In the fitness industry, I am hoping that fad diets become a thing of the past and quick fix products like waist trainers and flat tummy teas disappear. In the age of instant gratification, it’s hard for people to not want everything instantly so these celebrity endorsed products, magical diets and quick fixes are suckering consumers into unsustainable habits and results. But as women begin to see a broader representation of beauty online, get educated about good eating habits and get introduced to fitness programs, classes and communities that keep them motivated, a society of healthier and happier human beings will emerge.